Multicolor yarn in dark strong tones ideal for the winter season. 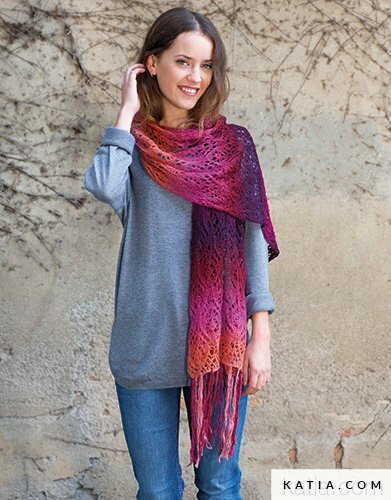 Stella is a yarn especially apt for making printed shawls or eyelet wraps for women. Only one ball of Stella is required to make a crochet or knit shawl. 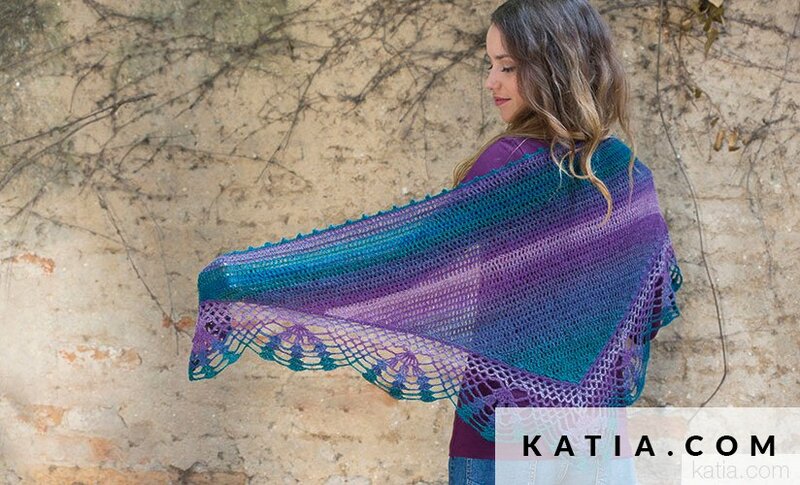 Please go to www.katia.com to download patterns for Stella.